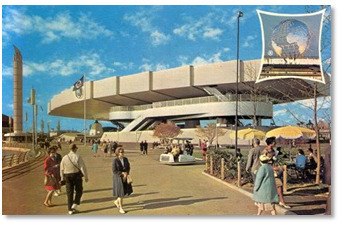 Are there never enough 1964/65 New York World’s Fair related fund raising efforts to scratch your philanthropic itch? We can help you! 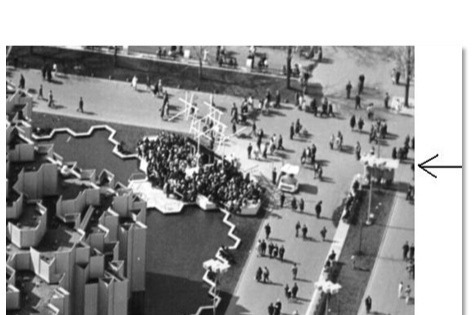 We love all things NY World’s Fair and Flushing Meadows Corona Park! Our latest effort is the preservation and restoration of the only known surviving Bell Telephone Serpentine Phone Booth. 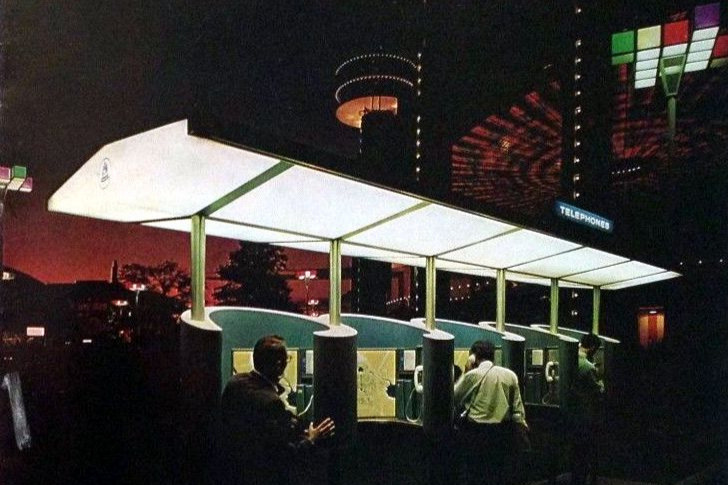 Originally located by the sites of the former Tower of Light Pavilion and General Electric, the World’s Fair phone booth is a terrific example of mid-century modern design and technology. Our co-founder, Mitch Silverstein, has facilitated a private donation of the phone booth to the Queens Museum. They have accepted the booth into their collection and have agreed to store it until the funds can be raised to begin restoration. 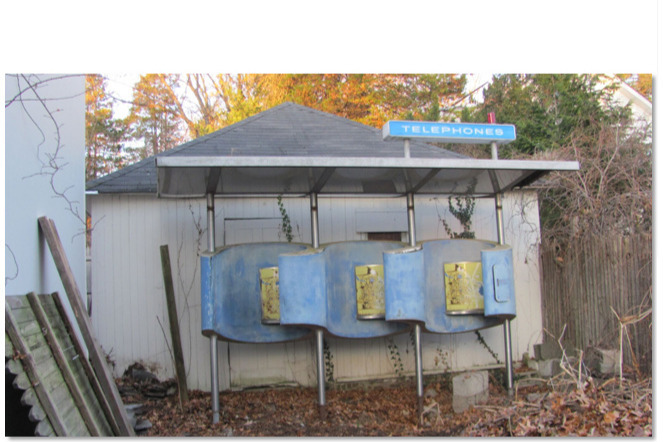 This Gofundme page is strictly for the preservation and restoration of the phone booth. While there is currently no specific plan or schedule in place for the work, we need to have the money available for immediate use once a plan is in place. The booth needs extensive fiberglass work, steel work, detail restoration and possibly replacement of the vintage phones. Funds will also be needed for future reuse/exhibition projects. We are the New York State Pavilion Paint Project, and we lovingly paint and care for the New York State Pavilion mezzanine level of the Tent of Tomorrow. Please see our website to familiarize yourself with what we have done at the New York State Pavilion site thus far, nyspproject.org. We will, of course, be fully transparent with where the money goes once work begins. For examples of this, you can check out the Progress Reports on our website in relation to our primary Gofundme that we use for our work on the New York State Pavilion. Every effort will be made to move forward on the restoration of the phone booth. There may be unforeseen circumstances that arise. 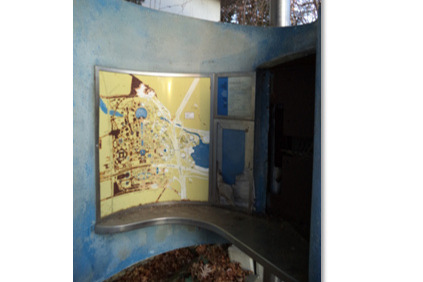 Those circumstances may be, but are not limited to, the availability of access to the booth for restoration work which may be limited due to its location at a fully functioning museum, shortage of materials and skilled labor, cost of restoration, the need to relocate the booth to a different facility, etc. These may delay the goals of this project or in the worst case derail the efforts. 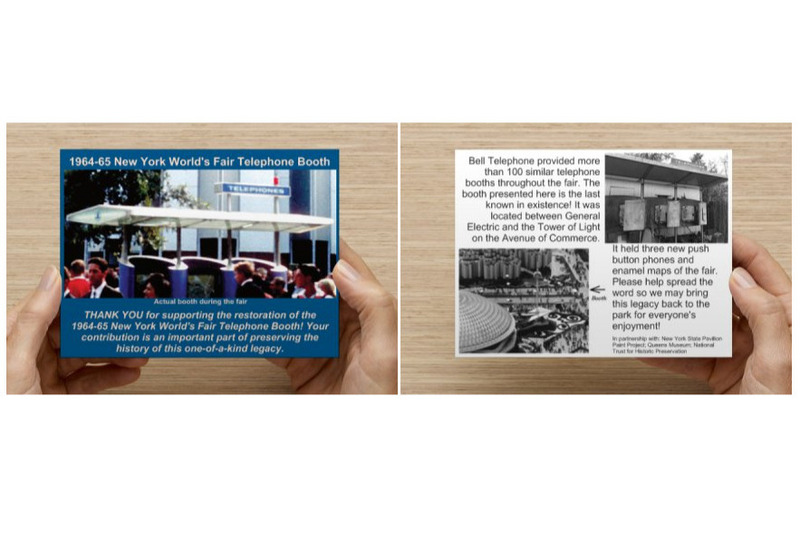 We can say with certainty that if anything were to happen that might interfere with plans to restore the booth, there is the opportunity for us to then use the funds towards another New York World’s Fair themed effort. We have several on the horizon. If that isn’t possible for whatever reason, then we could use the money for our work at the New York State Pavilion as a very last resort. 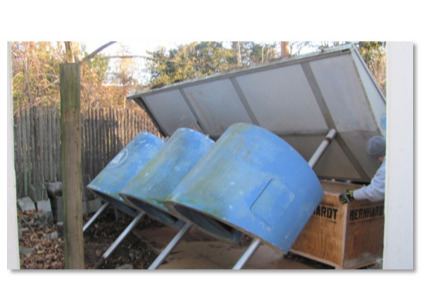 We would disclose every detail of the plans for and use of the funds, of course. You cannot go wrong with a donation to us; the money will get used for a beautiful, fair related project! We will also send out updates to keep you informed. For donating today, your gift is a beautiful thank you card with photos of the booth at the fair and information about its history! It is available if you provide your mailing address via this email after you have sent a donation. Any donations of $100 or more will entitle you to future invitations to any events associated with the booth’s restoration or eventual display previews as long as your contact information is provided. Special thanks to Mitch Silverstein for initiating the relationship between the booth and the Queens Museum, Bruce and Thayer Woodcock for their generous donation of the booth, Jason Clement from the National Trust for Historic Preservation, Louise Weinberg and Arnold Kaye from the Queens Museum, Bernhardt Moving and Storage, Pearl River, NY for the relocation of the booth (a tremendous undertaking), Stephanie Bohn for documenting the entire move in photos, and the rest of the Paint Crew for their support of this project. Please do not hesitate to contact us with questions! Booth relocation photos are ©Stephanie Bohn and are available for use upon request and with proper credit given. 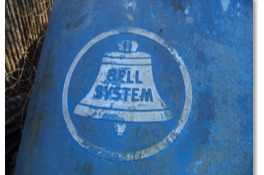 Besides showcasing technological advancements at the pavilion, Bell Systems was responsible for the communications at the fair. 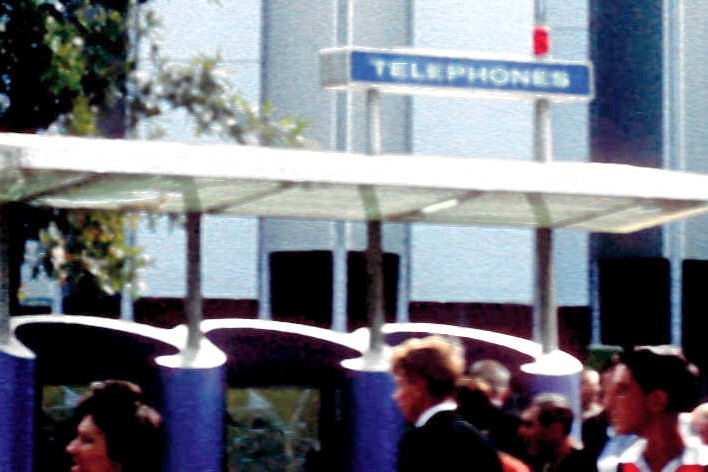 At the Fair, Bell Systems showcased the first Picture Phone which wowed audiences. 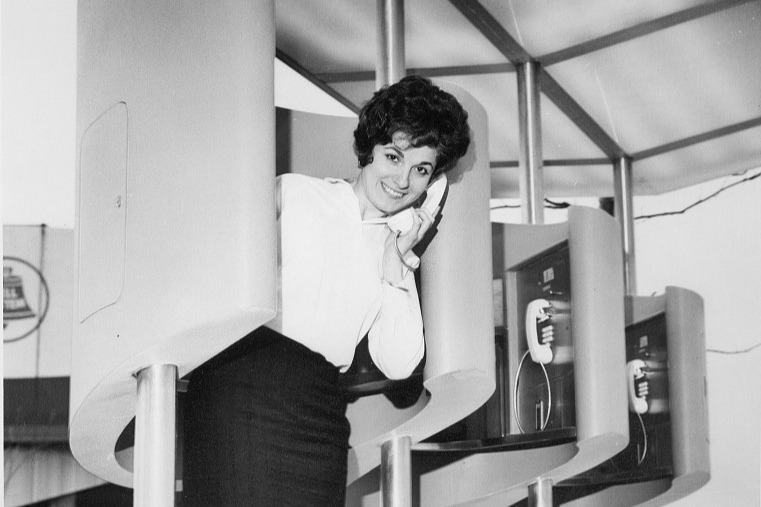 There were Family Phone Booths which were private egg shaped kiosks where the whole family could make group phone calls to friends and relatives. Push Button phones were new but were the norm for the fair. All of the 1,400 public telephones were the modern TOUCH-TONE push button model, which make calling a faster, more conventional experience. (2) Besides the more conventional wall hung pay phones, patrons to the fair were excited to use the unique serpentine phone booths. Luminous canopies of white translucent Plexiglass light more than 100 outdoor telephone stations at the Fair. An amazing execution of Mid Century Modern design and engineering. WE ARE SEEKING THREE OF THESE 10-BUTTON PHONES FOR THE RESTORATION. PLEASE SEE PHOTO ABOVE AS WE HAVE LITTLE INFORMATION TO GO ON FOR LOCATING THESE. Please contact us if you have leads or information. Thank you. Peter Warner worked as an archivist at a NYC architectural firm. He was inspired by his father, an architect, which helped design the site plans for the 1939 World's Fair. He was well known in the world’s fair collectors circle. Early on he was a collector and historian of World’s Fairs and President of the World's Fair Collectors Society. Collecting ''started out as my hobby, but it's not a hobby anymore,'' he said, ''one could say it's a mission. 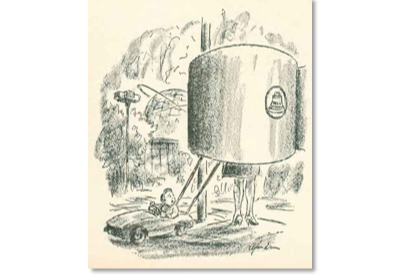 I'm doing it for the benefit of the future.’’ (6) Mr. Warner had the foresight, with permission, to grab what he could when the NY World’s Fair ended. Besides pallets full of guide books and other ephemera and souvenirs, he also grabbed a full size serpentine phone booth. He resurrected it next to his garage at his home in Rockland County, NY where it has resided since 1965 as an icon for the Warner family and their neighbors. 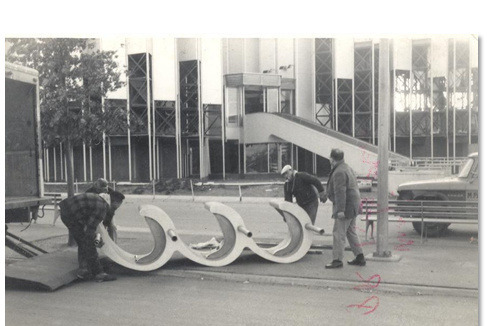 Removing the booth from the fairgrounds in 1966. 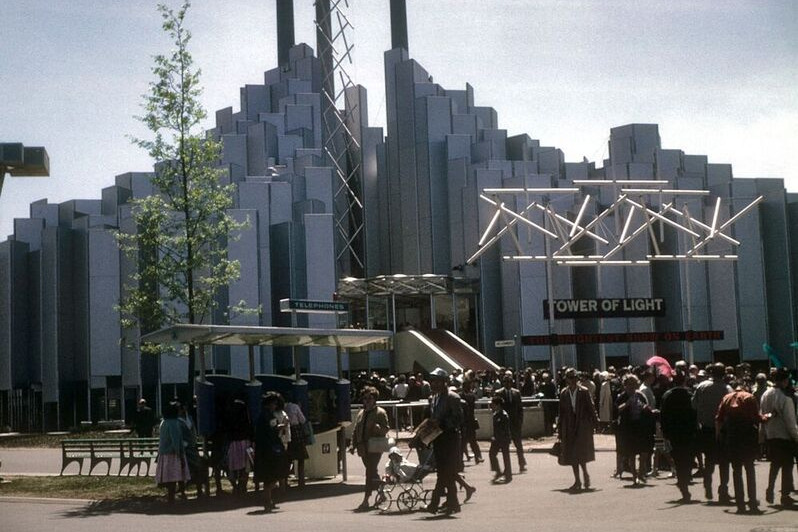 Tower of Light Pavilion in the background already in a state of demolition. 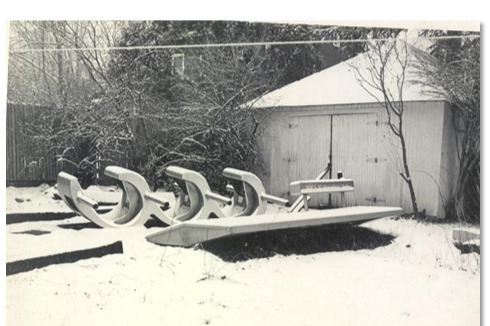 The booth in Peter Warner’s driveway awaiting installation to the right of the garage pictured. The booth was located at the intersection of the Court of the Universe and the Avenue of Commerce between the Tower of Light and General Electric. 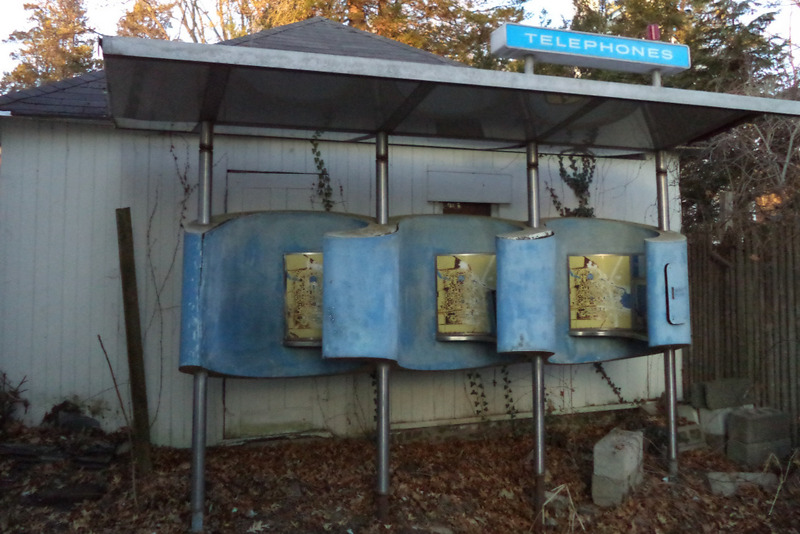 The New York World’s Fair Phone Booth is known to be the only one left in existence. 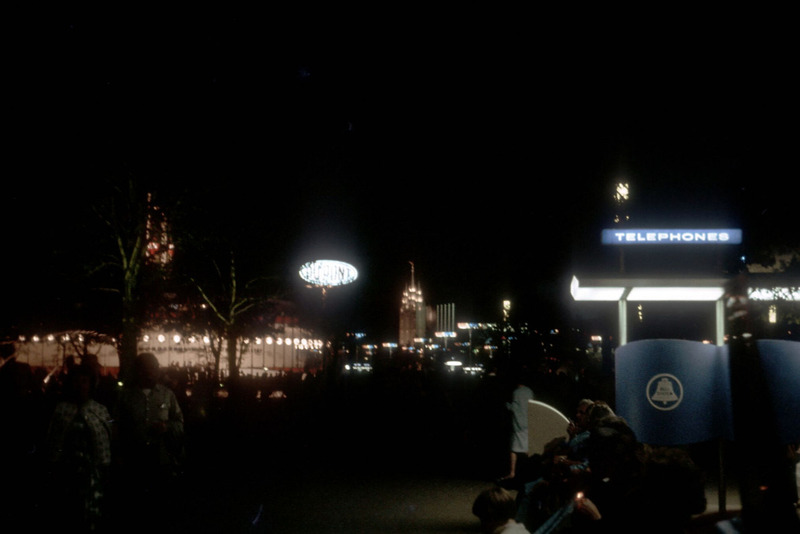 This booth held three stainless steel push button phones with white handsets and three enamel maps of the fair. The original phone books and maps are still present. This booth also has an emergency call box, a phone located behind a small door that would be a direct dial to security. A red light on the roof top Telephone sign would light up when this phone was activated. After fifty two years the booth has been generously donated, by the latest owners, Bruce and Thayer Woodcock, to the Queens Museum in Flushing Meadows Corona Park, Queens, NY. It’s coming back to its origins. Mitch Silverstein, a NYWF collector, historian and co-founder of the New York State Pavilion Paint Project has been in contact for years with the Woodcock’s and visited the booth several times to document its history. When the time was right, the booth was relocated to the museum with a grant from the National Trust for Historic Preservation. Now in protective storage at the museum, plans will be underway to determine a course for restoration and fundraising. We hope to have the booth on display in the future for all to enjoy. 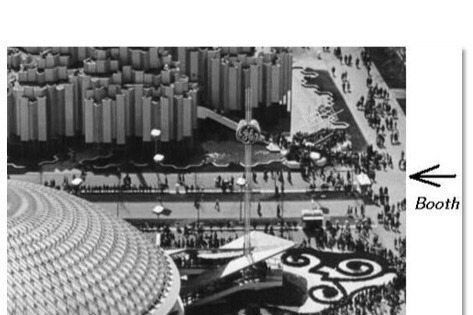 It not only represents Mid-Century Modern Design, the New York World’s Fair 1960’s technology, nostalgia and innovation, it represents a critical time in history and an event that shaped NYC and those who attended. Spring is here and we hope to step up efforts to raise some funds. So far between gofundme and private donations we have raised about $1000. Its a good start! I have spoken with a plastics company and they are sure they can reproduce the plastic lenses in the roof of the booth including the Bell logo. I have also spoken with a marine repair company that is interested in looking at the booth for the fiberglass work that needs to be done. They seem up for the challenge! We hope to get them out there to look within the next few months. All this will cost a lot of money. Please share this fund raiser and help spread the word! Look for future updates as the crew gets back out into the field for a new season of World's Fair preservation!